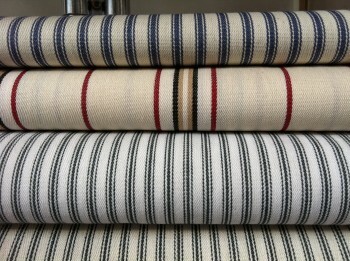 100% Cotton ticking, this traditional fabric is available in a choice of four colour woven striped designs. 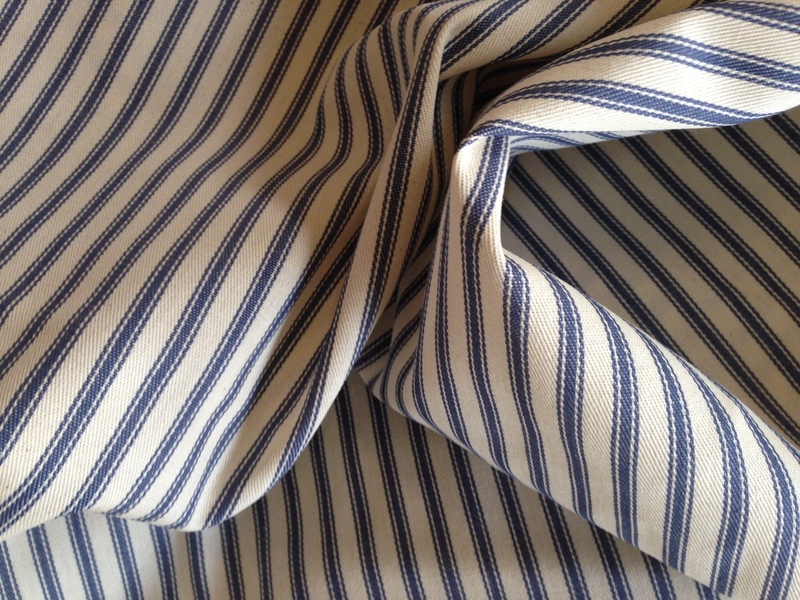 Some of these are woven with a very subtle twill or even herringbone weave and others have a plain weave. 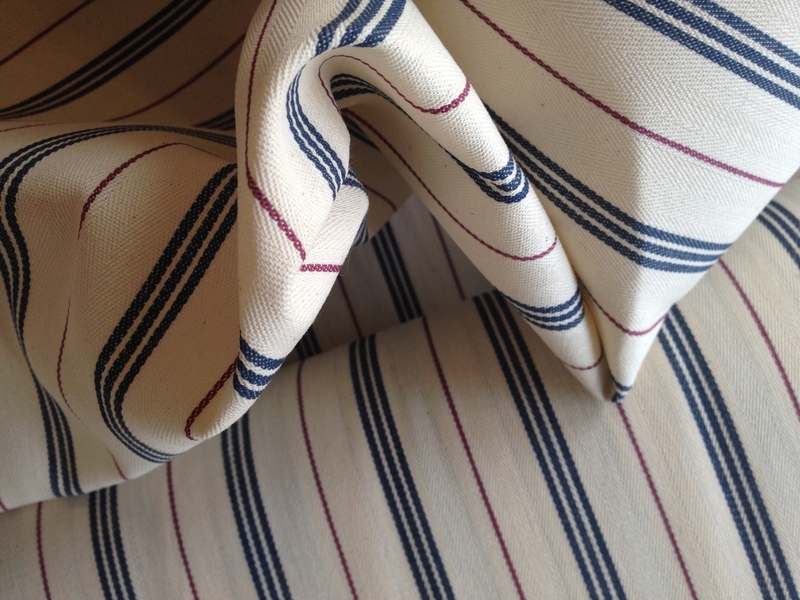 Also known as mattress ticking or pillow ticking, cotton ticking fabric is tightly woven for durability and originally to prevent down feathers from poking through the fabric when is was used to cover mattresses and bed pillows. 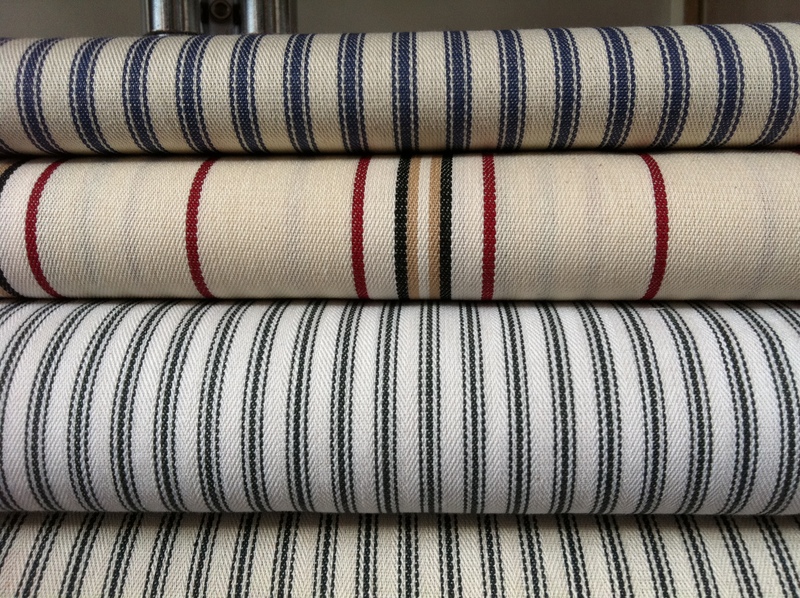 Cotton ticking is no longer restricted to a utility fabric and has now found other uses, such as quilt backing and other bedding and has become very trendy in interior decorating styles intending to evoke a homespun or industrial aesthetic. 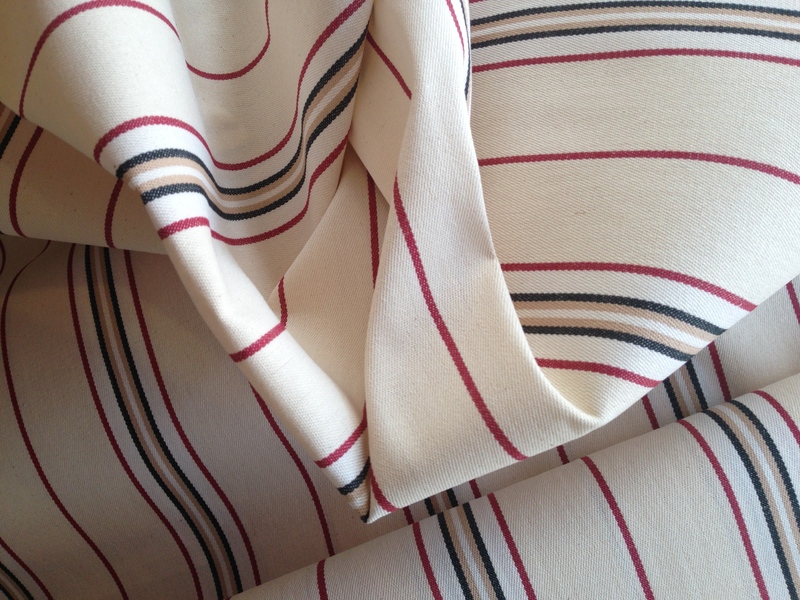 Contemporary uses for ticking include furniture upholstery, cushion covers, tablecloths, decorative basket liners and curtains. Please note the extra wide width when calculating your requirements. 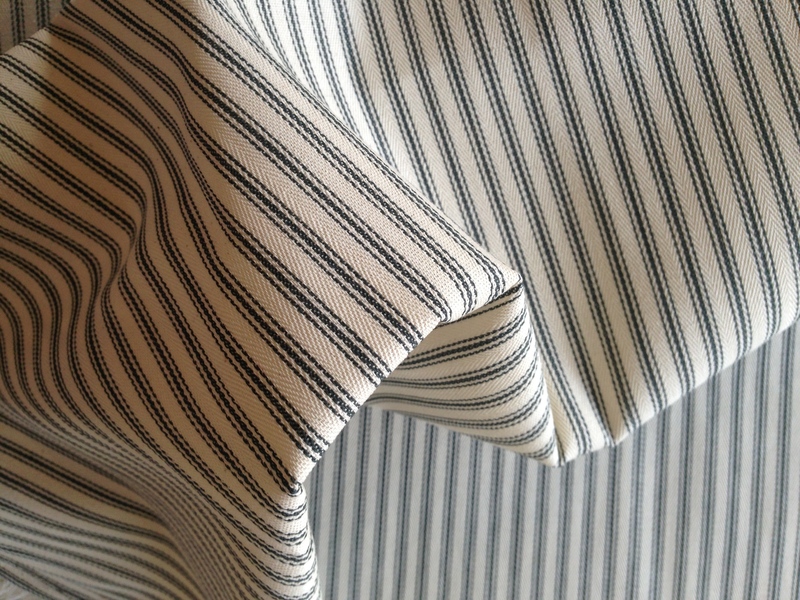 Please consider pre-shrinking this fabric as it will ‘tighten up’ with laundering. Wash care as for cotton and use plenty of steam to press.